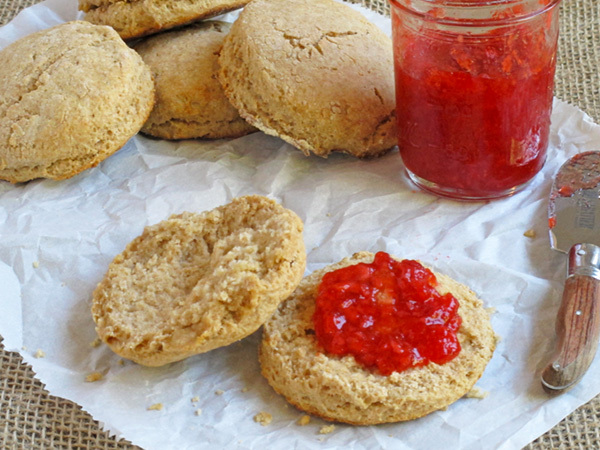 Whole Wheat Biscuits are simple to make and adored by everyone. 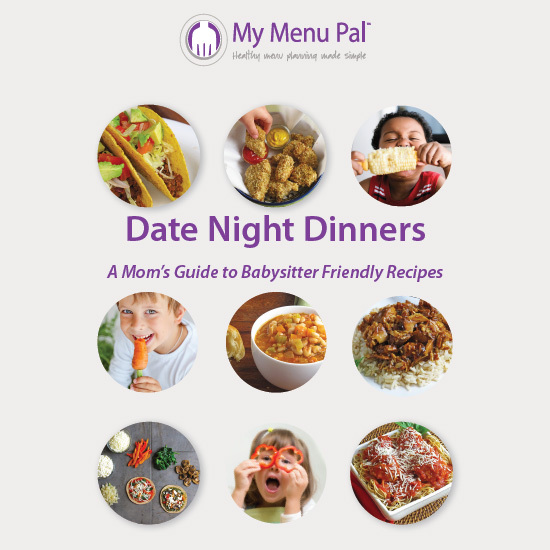 What are your first cooking memories? Does the answer come easily or something you need to ponder for a bit? 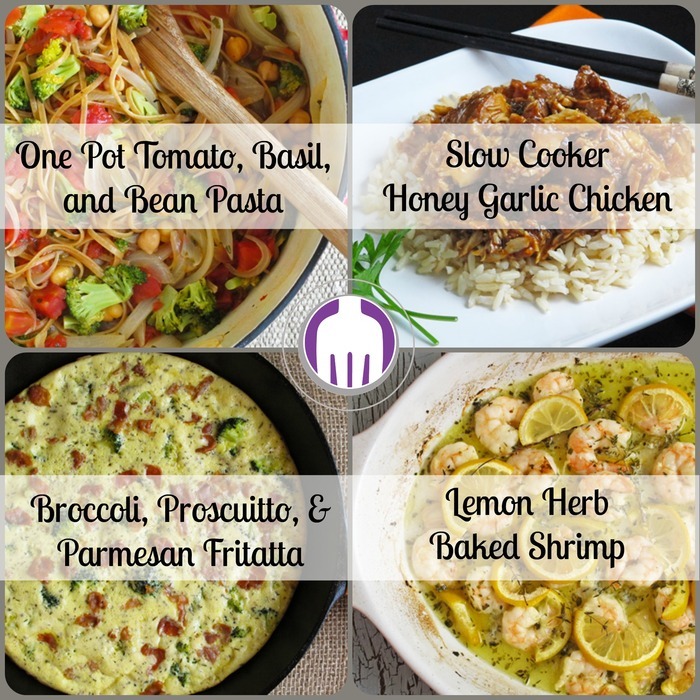 Well, while you think it over, I want to tell you mine thanks to this month’s Recipe Redux theme which is sharing our earliest culinary recollections, plus a recipe! I definitely had to think about it as my early memories are a mix of my family’s table as well as fond memories of my grandmother’s kitchen. And most of the time, it was watching either my mother or my grandmother cook from afar and then enjoying the fruits of their labor at the table. I didn’t show much interest in cooking myself until high school, other than the occasional cookie baking and prerequisite holiday baking we did every year. My husband definitely wishes I had paid more attention back when my mother made fried chicken, rice and gravy from scratch every week! 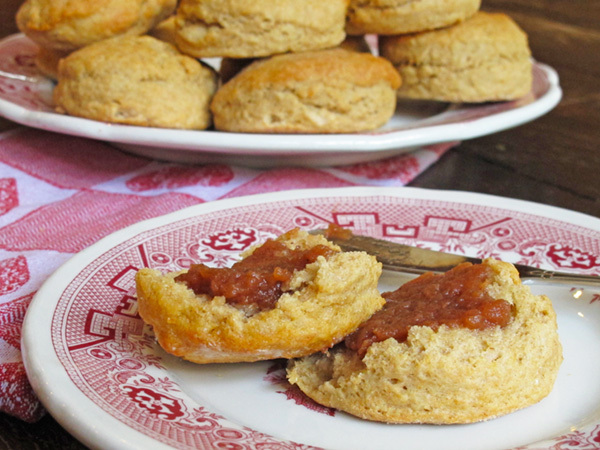 One thing that stands out the most though were my grandmother’s biscuits. It was a simple recipe she had perfected and we ate them at all family gatherings. They were small biscuits, easily eaten in 2 or 3 bites. They were crisp on the outside but melt-in-your mouth soft and flaky on the inside. Paired with apple butter, they were irresistible. A fresh batch didn’t last long and I recall cousins clambering over one another for seconds and thirds until they were all gone. 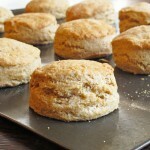 My mother also made these biscuits on occasion too and it was from her I learned the recipe. My interest in baking probably was raised early in high school after my older sister took a keen interest in baking and would turn out delicious loaves of bread and desserts for special occasions. I chose to learn my family’s recipes from my mother. Potato rolls are another family favorite, but they are time consuming and something we only did once a year. 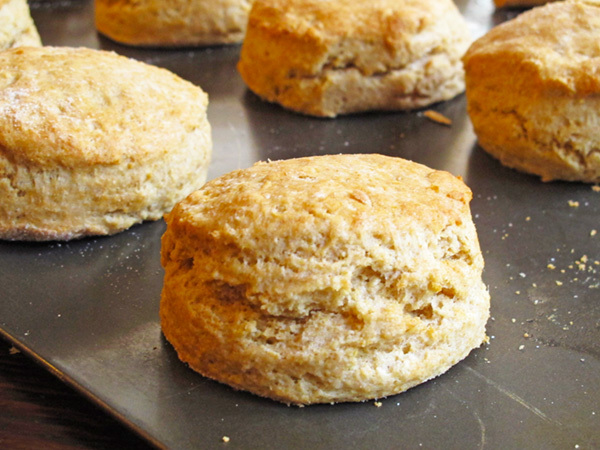 Biscuits are much easier and something we made more often, though not as often as we had when I was younger as we all became more health conscious. So after having my own family I revisited the family biscuit recipe as a special treat one Father’s Day. 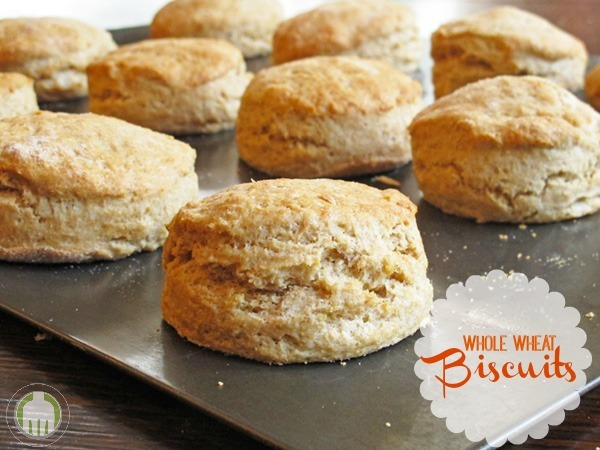 Not only did I forget how quick and easy it is to make your own biscuits, but I realized I could easily make them better for us too. The first change I made is white whole wheat flour rather than regular all-purpose flour. It has all the nutrition of whole wheat flour yet without the heaviness usually associated with it. Kefir stands in for buttermilk in the recipe and is an ingredient I’m more likely to have on hand. The honey adds a bit of natural sweetness to the biscuit though it could easily be cut back and herbs added for a more savory biscuit. I’ve also been known to add some pumpkin puree to the batter as well for a festive spin on the recipe. You can take it and make your own variation for your family, but I guarantee they will disappear quickly. 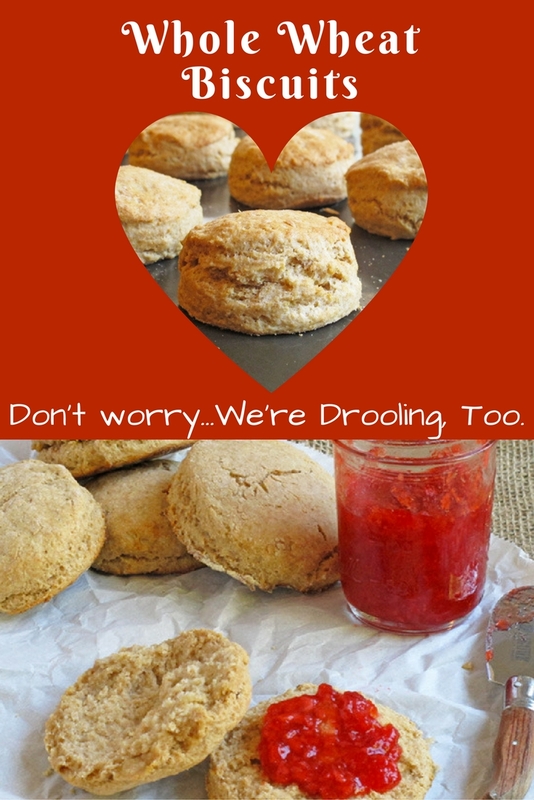 Pair it with Lesley’s Strawberry Jam for a bite of summer. In a medium size bowl, combine the flour, baking powder and salt. Stir well. Add the butter pieces and mix into the flour using 2 knives, a pastry cutter or your hands until the mixture resembles coarse meal. Make a well in the center of the mixture. In a small bowl, combine the kefir and honey. Pour into the well of the flour mixture. Stir just until moist. Turn out dough on a clean, floured surface. Lightly knead the dough a few times to pull it together, then pat down into a circle using your hands until it is about ¾ of an inch thick. Using a biscuit cutter about 2 1/2 inches wide, cut out biscuits. Gather remaining dough, lightly knead a few times to pull together and lightly pat down into a circle until about ¾ of an inch thick and cut out biscuits. Repeat until all dough is used. Place dough rounds about an inch apart on lined sheet pan. Bake for 10 to 12 minutes or until lightly browned. Allow to cool on pan for 2 minutes and then transfer to a wire rack. Serve warm.